Just a second, we're loading your page! There are currently over 2.4 million Canadians living with diabetes, and this number is only expected to increase with time. 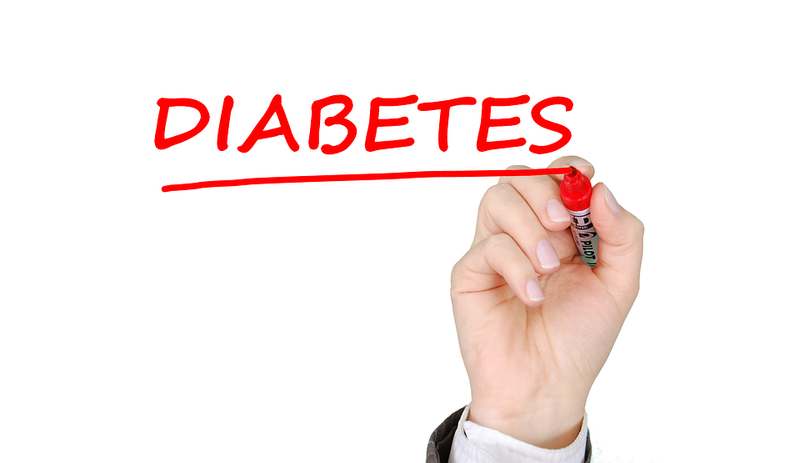 Individuals with diabetes are at risk for many chronic conditions such as high blood pressure, heart disease, chronic obstructive pulmonary disease, and arthritis. Not as widely known however, are the eye complications related to diabetes: diabetic retinopathy, cataracts, and glaucoma. Although it is important for everyone to have their eyes examined regularly by an optometrist, it is especially important for those living with diabetes. Left untreated, eye complications from uncontrolled diabetes can lead to serious vision loss or even blindness. Diabetic retinopathy causes progressive damage the retina, the light-sensitive lining at the back of the eye. It occurs when tiny blood vessels that provide nutrients to the retina become damaged from uncontrolled blood sugar levels in the body. If damaged, these vessels will leak blood and other fluids into the retina and can cause bleeding and swelling in the eye. In the early stages of diabetic retinopathy, simply reducing the blood sugar levels may be enough to reduce the damage at the back of the eye. In the later stages, treatment may require injections of medication into the eye, the application of laser to the retina, or vitrectomy, a process where the vitreous humor in the eye is removed and replaced with a salt solution. How is Diabetes Related to Cataracts and Glaucoma? A cataract is the clouding or fogging of the crystalline lens inside the eye. This lens is normally transparent and allows us to see clearly by focusing light onto the retina. Although cataracts can occur in anyone with time and age, people living with diabetes tend to develop cataracts at an earlier age compared to those living without diabetes. To get rid of cataracts, one must undergo a surgery, which involves replacing the cloudy crystalline lens with a clear artificial lens. Glaucoma is a disease which causes progressive damage to the nerves inside our eyes. These nerves are responsible for carrying the signals for vision from our eyes to our brain. There are several risk factors for glaucoma including increased pressure in the eye, age, and family history. People with diabetes are at risk of developing a rare type of glaucoma called neovascular glaucoma. In this unusual form of glaucoma, new blood vessels grow onto the iris of the eye, eventually blocking the normal outflow of fluid from the eyes. This results in an increase in eye pressure which consequently can damage the eye’s internal fragile nerve connections. This form of glaucoma is very difficult to treat. Currently, the best available options involve using lasers to reduce the presence of the problematic blood vessels in the iris. How Can I Prevent Diabetes Related Eye Diseases? Diabetic eye diseases are the result of uncontrolled blood sugar levels in the body. Therefore, it is important to maintain optimal blood glucose levels, blood pressure, and cholesterol. Ask your team of healthcare professionals to help you determine your optimal blood sugar level, and the strategies required in order for you to stay on target. It is important to visit your optometrist at least once a year for a comprehensive examination of the health of your eyes. This should include a measurement of your vision and prescription for glasses, a health evaluation of the anterior portion of the eyes (eyelids, cornea, iris, lens), as well as the posterior portion (retina, blood vessels, optic nerve). For most, this involves having detailed photographs or scans taken of the inside of your eyes. Signs of complications from diabetes in the eyes could indicate that elsewhere in your body, there are damaged blood vessels. Other commonly affected areas are the kidneys, fingertips, and toes. It is important to remember that the early stages of diabetic eye diseases often do not produce any symptoms. Therefore, it is critical to have your eyes examined regularly in order to catch any early signs of damage to the eyes. Copyright © 2018 iSight Family Eye Care. All rights reserved.